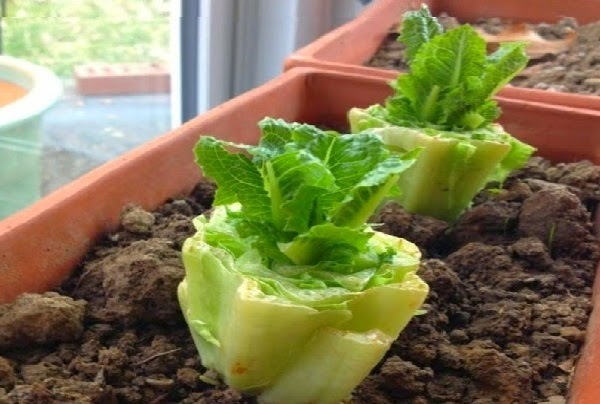 8 Vegetables You Can Buy Once, Then Re-grow Forever! #7 Is A Complete Awesome! This is really awesome and this will help to save your money. Not only that you can eat fresh vegetables every day. Don’t you just hate having to buy vegetables in bulk, watch them turn bad and have to buy them all over again?! Nothing is worse than watching your fresh greens go brown when you can’t use them right away. With these simple tricks, you can easily save time and money by creating your own personal vegetable garden in the comfort of your own home. Whether you have a huge farm or a tiny studio apartment, you can easily grow these vegetables with very little effort and a bag of soil. Even if it is easier to go to the grocery store, there is something very special about cooking with your own veggies and it’s great to have them on hand when you need them. Check out these 8 vegetables that you probably didn’t know you could re-grow and then try it out for yourself. You NEVER need to buy these greens again! Before you throw away the rest of that head of lettuce, try this handy trick! Add the lettuce stumps to 1/2 inch of water and then transfer the plant into soil once new leaves begin to appear. Sometimes leaves even grow twice their size the second time around. Cabbages work the same way! Don't you hate having to buy a giant bag of celery when you only need a couple of pieces? 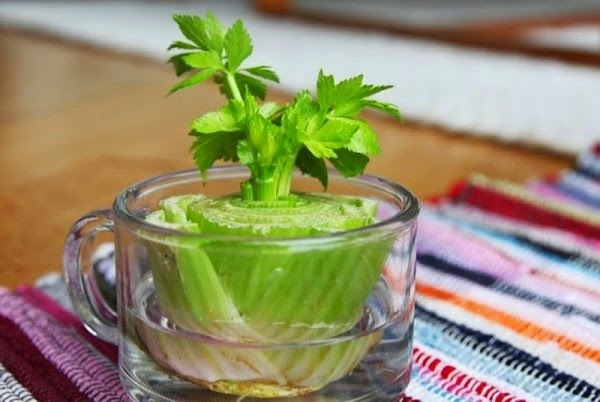 Use your leftovers to grow your own by cutting off the base and place in it in a shallow bowl of water in the sun. 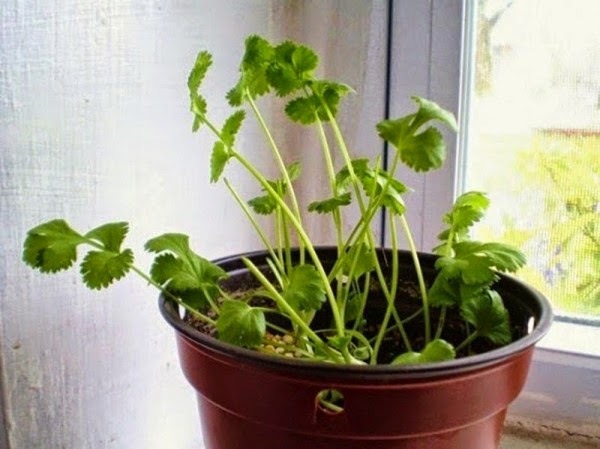 Once leaves start to appear after about 3 days, transfer the plant to soil. There's something fantastic about cooking with basil you've grown yourself! Use old basil clippings to grow a fresh plant by placing stems of 3-4 inches in a glass of water in direct sunlight. When roots grow to about 2 inches, transfer them to a pot of soil and watch them grow. Be sure to change the water constantly, though, to avoid slime! 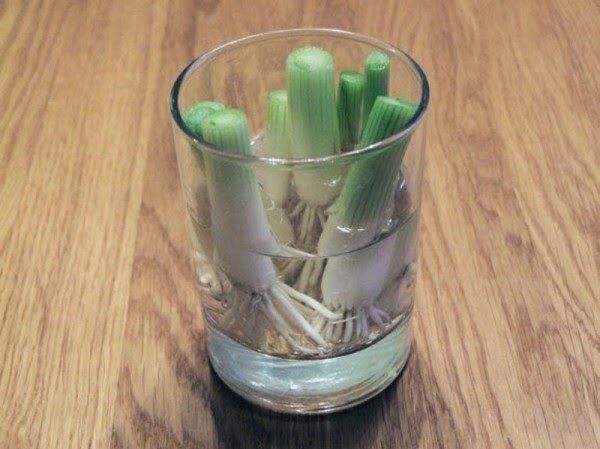 Use discarded scallion roots to grow a new plant by placing them in a glass of water. Make sure plants are in a well-lit room or get sunlight for optimal results! Buying a whole bag of cilantro can be such a waste when you only need a couple of pieces. Place old stems in a glass of water and watch their roots grow. Transfer to a pot with soil once roots are long enough and place them in a lighted room. A few months later, you should have a full plant! 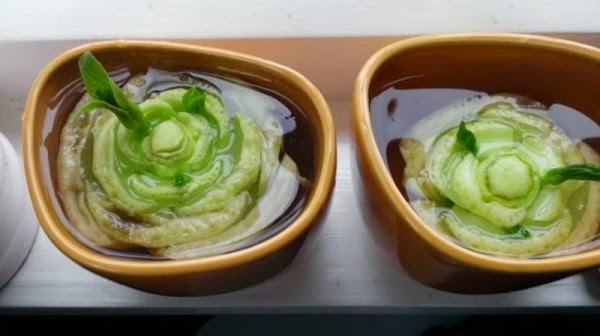 Place Bok Choy stumps in a couple of inches of water for about 1-2 weeks. Once you see them begin to sprout, transplant them into a pot with soil and watch them grow a new head! Did you know you can re-grow carrot greens from chopped off carrot tops?! 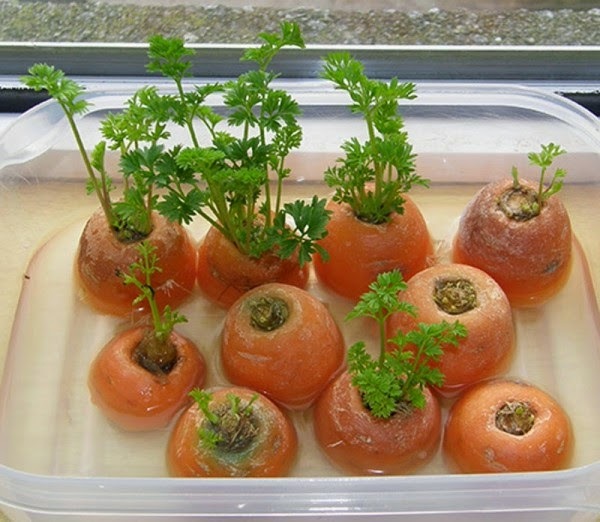 Place them in a dish with about 1/2 inch of water in a well-lit room or indirect sunlight. Although carrot greens are bitter, they are delicious chopped up with garlic and sweetened with vinegar for salads. Never buy garlic again! 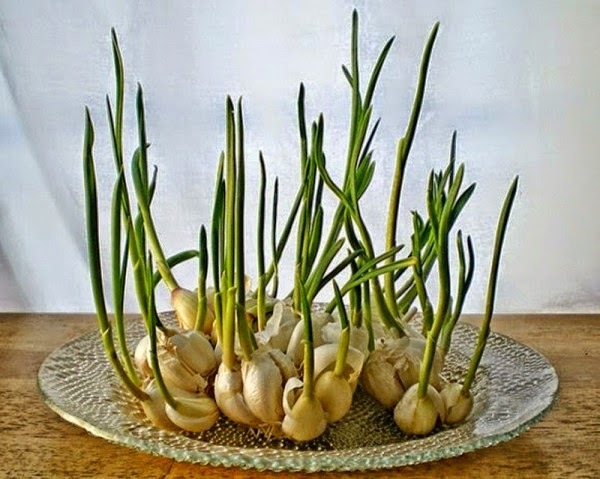 Once garlic sprouts appear, place them in a glass with a bit of water and watch them transform before your eyes.